Team Fortress 2 may be close to five years old, but Valve continues to push their comical promotional videos. This is company who knows how to market a product. Today we meet the Pyro, a man of the flame who looks like he is doing the right thing, but instead burning the world to a crisp. Valve has been putting these videos out like once a year, and each one seems to leave an impression. It almost makes me wonder why Valve hasn’t hooked up with Pixar or Dreamworks in creating a film around the fiction yet, as the art style and humor seems to lineup perfectly. 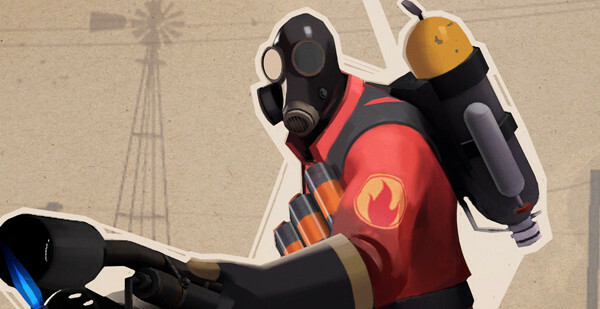 If you’re unaware, Team Fortress 2 is a free-to-play game now, so go out and have some fun! If you want to spend money on accessories, such as the large array of hats, no one is going to stop you. I’m sure the money going into those hats help funds these videos. Anyways, watch the two and a half minute long video below and revel in the world of the Pyro.